Turkey cupcakes are quirky fowl-themed desserts that bring extra cheer to your Thanksgiving meal! 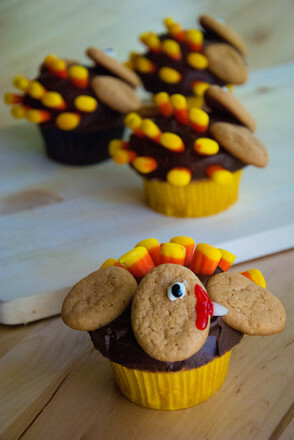 Turkeys come in all different forms, even delicious turkey cupcakes. 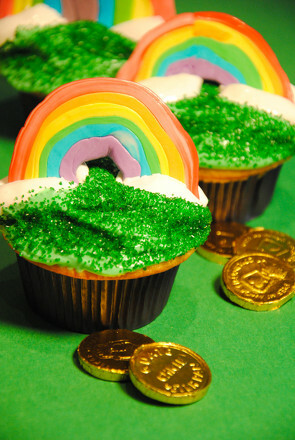 These awesome cupcakes look professionally made, but are easy enough for kids to decorate and personalize. Start by making cupcakes from your favorite recipe, then bring the whole family inot the kitchen to add their own tasty toppings. Don't gobble them up right away—save some of these turkey cupcakes for Thanksgiving! 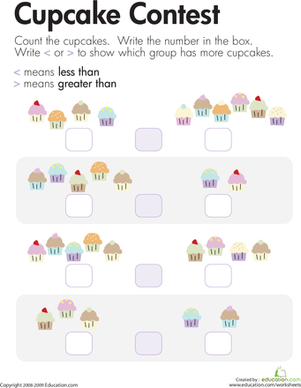 Help your child make cupcakes and allow them to cool completely. If you refrigerate them, they will be easier to decorate. Now mix up your favorite cookie dough recipe. When you form the cookies, try to make small ovals. The shapes will expand, so make them smaller than you think they should be. Then form the wings and heads. Bake the cookie shapes and cool completely. Ice the cupcakes with chocolate icing. Press a cookie onto the front of the cupcake for the face, and two cookies on either side for wings. Grab a handful of candy corn and poke two to three rows of “feathers” into the back half of the cupcake, pointy-side down. Cut the tip off one candy corn and use a bit of icing to help it stick to the side of the face cookie, creating a beak. 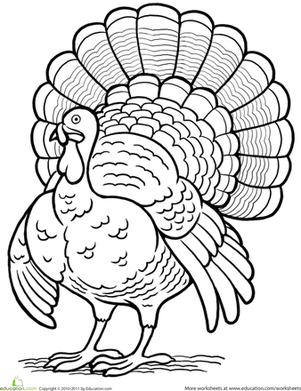 Squeeze a dot of black icing gel on the turkey head for the eye. 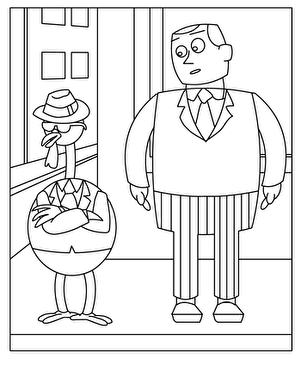 Squeeze a red gel line where the candy corn beak meets the cookie for the wattle. 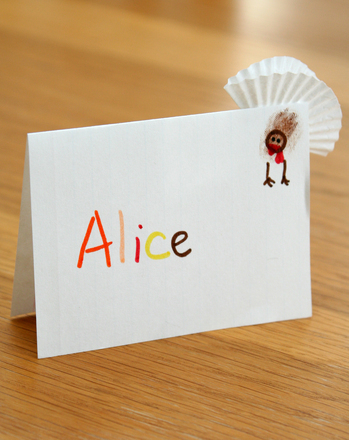 A thankful turkey helps your child think about on the things that he's thankful for. 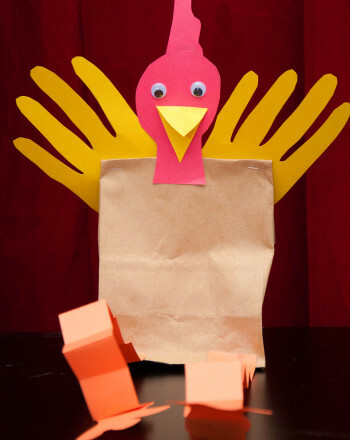 Make this turkey craft with your child for Thanksgiving. 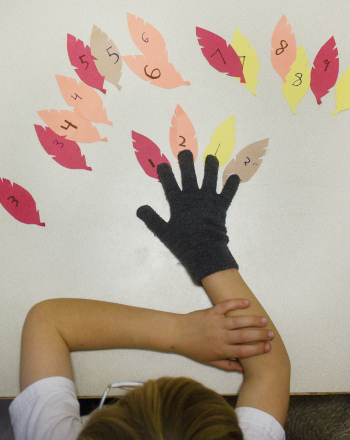 Though the Turkey Vulture may not be the prettiest of birds, your child can put his creativity to work giving these guys some great colors! 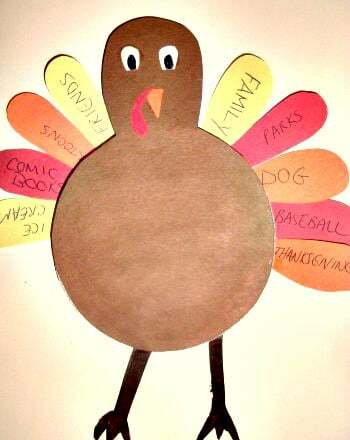 Say thanks this Thanksgiving by surprising a friend, a teacher or a grandparent with this paper plate turkey which doubles as a festive wall hanging.